Glasswerks Inc., a leader in commercial and architectural glass fabrication, has named Todd French, of Jacksonville, FL., as Eastern Regional Manager of its subsidiary, Catalina Tempering. I can’t say enough about the ownership’s support in our growth endeavors. It is very refreshing to work for such a great team of individuals. French brings to the position more than 20 years of experience in glass manufacturing and multi-site management, and joined Catalina Tempering in 2009 from a global glass supplier and manufacturer. 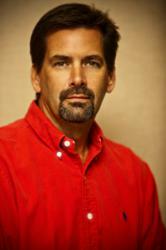 Previously, French was General Manager of Catalina Tempering’s Mount Airy, NC location. With this new appointment, he will oversee Catalina’s newest location, which opened in Easton, PA in February of 2012, as well as the plant in Mount Airy and one in Utica, OH. “I can’t say enough about the ownership’s support in our growth endeavors. It is very refreshing to work for such a great team of individuals,” says French. The PA plant was the third greenfield project French opened for Catalina Tempering. He plans to continue growth through market development and to improve Catalina Tempering’s operational efficiencies through standardization and benchmarking. "Glasswerks is fortunate to have a high-caliber professional like Todd French on our team,” says Ed Rosengrant, Vice President of Sales and Marketing at Glasswerks. “Under his leadership and guidance the Catalina entities will continue to grow and flourish in the coming years." For more information about Catalina Tempering, go to http://www.catalinatempering.com. Glasswerks Inc. is a leading commercial and architectural glass fabricator headquartered in South Gate, California. Glasswerks Inc. produces architectural glazing products, glass furniture, mirrors and decorative glass; specializing in the production and fabrication of laminated, tempered, insulated, bullet-resistant, hurricane-resistant, and high performance low-e glass products. Born out of the competitive construction landscape of Los Angeles in 1979, Glasswerks Inc. operates from eight U.S. facilities located in Southern California, Texas, Ohio, Pennsylvania and North Carolina. Catalina Tempering and Avalon Glass & Mirror are subsidiaries of Glasswerks Inc. Visit http://www.glasswerks.com for more information.